It is a chilly autumn evening in south London and on a dimly-lit concrete court nestled between a row of low-rise flats and an imposing tower block on the Aylesbury Estate, a group of young boys are lining up in their football kits in preparation for a training session. In front of them, two coaches raise their voices to be heard over the rumble of passing traffic. The skyscrapers of the City of London are visible from the pavement and you don’t have to walk far to catch a glimpse of Canary Wharf, but, book-ended by Kennington to the west and the Old Kent Road to the east, the sprawling Aylesbury Estate is a world away from the booming financial districts which dominate London’s skyline. It was on concrete courts such as this that Reiss Nelson and his close friend Jadon Sancho honed their skills as boys. The pair grew up together, Nelson here on the estate and Sancho in the Guinness Trust Buildings near Kennington Park, but now they have swapped the courts and cages of south London for the packed arenas of the Bundesliga. Sancho’s extraordinary rise has been well documented since he left Manchester City to join Borussia Dortmund almost two years ago. Last Thursday, it continued with an outstanding full debut for England against the United States at Wembley. But Nelson is catching up. Since joining Hoffenheim on loan from Arsenal in August, the 18-year-old has scored six Bundesliga goals in seven games. Last time out, he hit the winner against Augsburg just moments after coming off the bench. He is scoring every 54 minutes on average. No Englishman – not Raheem Sterling nor even Harry Kane – has netted more top-flight goals this season. Nelson’s impact at Hoffenheim has turned heads, earning him a promotion to England’s U21s and prompting Unai Emery to ponder an early recall, but it is no surprise to Sayce Holmes-Lewis, a former community coach who grew up on the Aylesbury Estate himself and recruited Nelson and Sancho to the same Southwark youth team as nine-year-olds. “Reiss was always ahead of Jadon – even up until this year,” Holmes-Lewis tells Sky Sports. “Jadon was fragile at certain times in terms of his confidence. He might try something and it wouldn’t work, so he wouldn’t want to do it again, whereas Reiss was just like, ‘OK, cool, I’m going to try it again.’ That’s what I loved about him. He was always confident in his ability and he would keep trying, no matter what. He just kept trying to get better. Holmes-Lewis saw those attributes for the first time during a football tournament at Burgess Park just off the Aylesbury Estate. He and two of his fellow coaches from Southwark’s London Youth Games teams were there on the lookout for players, and Nelson, whose older brother was an acquaintance of Holmes-Lewis, immediately stood out. At the same time as training with Arsenal and Watford respectively, Nelson and Sancho, together with another friend, Ian Carlo Proveda, who is now on the books at Manchester City, went on to become the stars of a Southwark U11s team which triumphed at the London Youth Games in 2011. 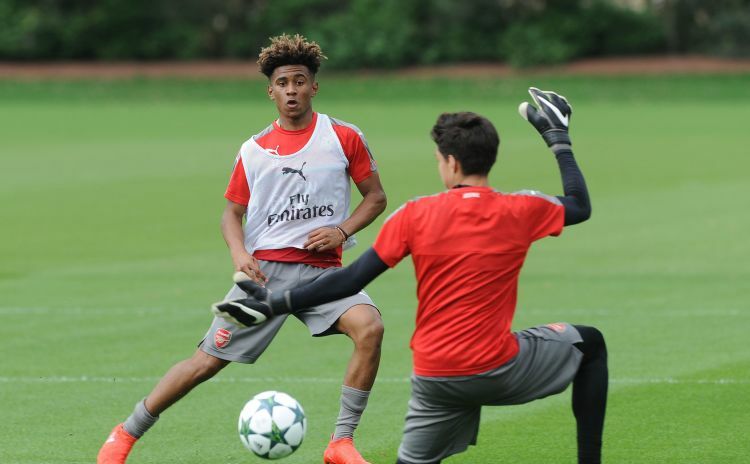 Nelson admits Sancho’s advice was instrumental in convincing him to make the move to Germany and last week the pair revealed they have been in constant contact throughout the season. 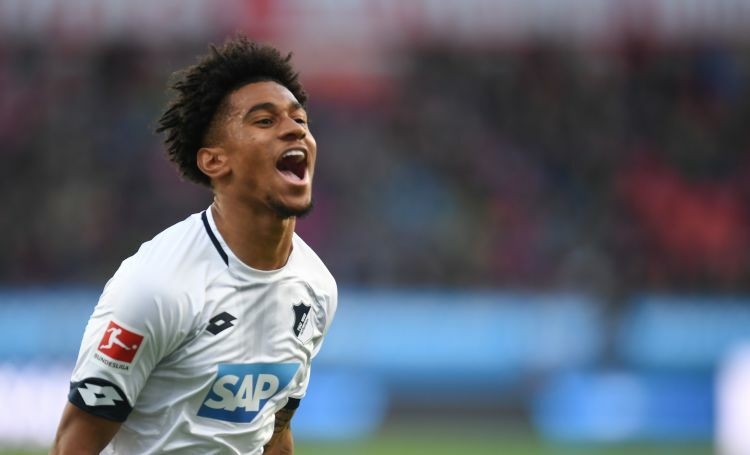 Like Dortmund for Sancho, Hoffenheim have given Nelson the platform to showcase his talent, but according to Holmes-Lewis, who remains in regular contact with him now, his success so far has as much to do with his mental attributes as his technical ability. That mind-set has helped Nelson under Julian Nagelsmann at Hoffenheim but it was even more important in his old neighbourhood. His family sent him to the London Nautical School near Waterloo in order to avoid the pitfalls of gangs and knife crime on the estate, but there was never much doubt that Nelson was heading in the right direction. “His family are really, really good, really supportive,” says Holmes-Lewis, who now runs a youth mentoring programme in the area called Mentivity. “Reiss never misbehaved. There was a bit of mischief and banter, but in terms of school he was just so focused. He knew that he if he messed up in school, Arsenal weren’t going to take him seriously. Nelson stayed out of trouble away from football, but on the concrete surfaces of the Aylesbury Estate, there was no letting up. South London is a hotbed of talent, and like so many other young players from the area, Nelson was shaped by – and toughened up by – the fast and furious football of the cage. Those traits – the self-belief, the work-rate and the determination – have all been apparent at Hoffenheim and should serve him well with Arsenal and England in the future, too, but for the young boys lining up for training sessions back on the Aylesbury Estate, Nelson is already an inspiration. “Football is pretty much all a lot of people around here have,” says Holmes-Lewis. How tight is the race to the Premier League?